Dubai Municipality announced about the release of the new technology which can help developers survey lands more effectively. The prime objective of the new Aerial Survey service is to cater for the needs of real estate companies or contractors. It provides them with the detailed information about rectified orthophotos and topographic maps. Besides, these maps are of much better quality. This service also offers to large-scale projects lots of capabilities. Contour maps will get vast spaces and rocky geographies. Besides, these images will be produced faster. 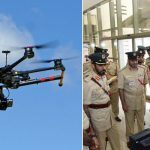 The Assistant Director of Dubai Municipality confessed that through the use of conventional surveys they were made to spend about six months to get the same results as they can do right now using drones. UAV really simplify this working procedure. The growth of Dubai is so rapid that this country needs surveying every six months. Lots of other countries do this procedure only once per five years. These services buy drones and they allow them to monitor their projects on an ongoing basis avoiding the necessity to visit this site personally. Only one drone can save lots of time, money and efforts. As far as Dubai grows at the velocity of sound, conventional methods don’t comply with the demands of this city anymore. When it comes to exploring the mountainous area, it is much easier and safer to send a drone there to monitor the site than to send a team of developers on helicopters. The Survey Department developed a special software product – “Kharetati” app, which can reduce the time and efforts of developers and contractors, enabling customers to get the information about the land maps without the necessity to visit Dubai Municipality centers personally. Very soon, this application will be available in the Google Play Market and App Store. The prime objective of this application is to save 75% of the transaction time. In sober fact, this application is a new smart channel which will be used by multiple channels of Dubai Municipality. To make use of this functionality, it is necessary to register for the required service through Dubai Municipality’s website. After that, the Aerial Surveying service will provide the customers with various kinds of imaging. The consumers will get footage by email or through the use of other convenient software. 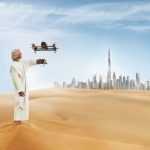 So, now drones will survey Dubai lands faster and more efficiently. 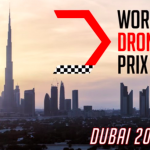 ← Is It Possible to Land a Drone Safely Avoiding Crashes?